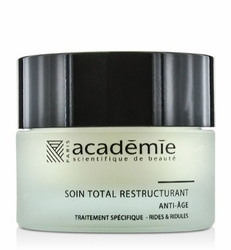 An extraordinary treatment to regenerate skin condition from Academie's Scientific System Skin Care Line. 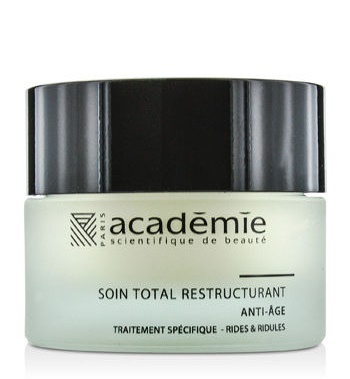 The Soin Restructurant Creme restores skin cells and reverses signs of daily stress with an innovative combination of anti-aging ingredients. This amazing cream increases collagen and Hyaluronic Acid production for a younger looking skin within 4-6 weeks od daily use. Enriched with essential ingredients to combat wrinkles amd other signs of aging. Refines skin texture and optimizes epidermal skin tone. Highly concentrated in performing active ingredients.